Visitors of the museum can not only get acquainted with the world of astronomy, but also to relax and spend the night in a hostel where there is a shower and a shared kitchen. Inside the museum is located glazed cafe overlooking the patio with a planetarium. At night, everyone will be able to explore the starry sky observatory in Chile, which will be installed in the telescope, at the planetarium tourists and students can learn more about the stars and planets, listen lectures in the special halls. 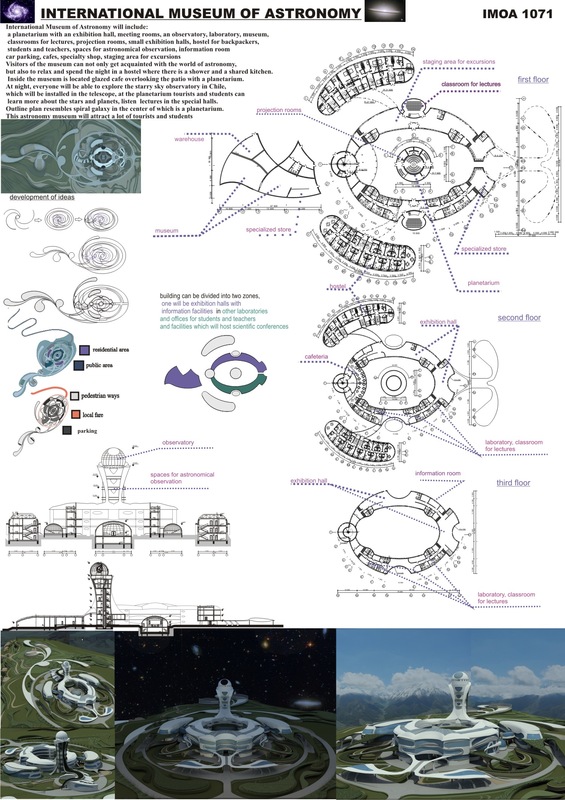 Outline plan resembles spiral galaxy in the center of which is a planetarium.